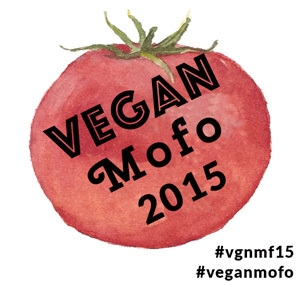 Thank you for joining me for another year of Vegan MOFO. I look forward to the challenge, making new blog friends and finding creativity from posts and my own kitchen. 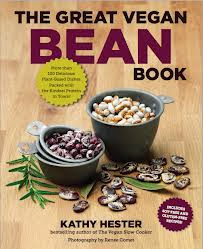 As a thank you one lucky US winner will win a copy of Kathy Hester's new The Great Vegan Bean Book. From savory bean dishes like Pumpkin White Bean Chowder (which screams fall!) to the sweet Black Bean Fudgesicles - this book has your bean needs covered! The book is great - most recipes can be used with canned beans if you do not feel like an extra hour of prep. The ingredients are all pretty familiar and easy to find in a regular grocery store. To enter for your chance to win please tell me what your favorite bean dish is in the comments below. One winner will be picked on October 4. Please leave a way to contact you with the comment. I love a simple, super-spicy pot of greens'n'bean! My favorite bean dish is red beans and rice. Thanks for offering such a nice giveaway! Ooo, chana masala? Hoppin' John? So many delicious beans, so little time. I absolutely love baked beans. My mom makes them for special events so I always associate baked beans with family get togethers. I have a pasta recipe with white beans and herbs that's pretty amazing. Black bean soup never gets old. Vegan Chilli is my favorite bean recipe right now!